If you are in the market for a beautiful, pigmented, affordable highlighter, then let me hip you to something. 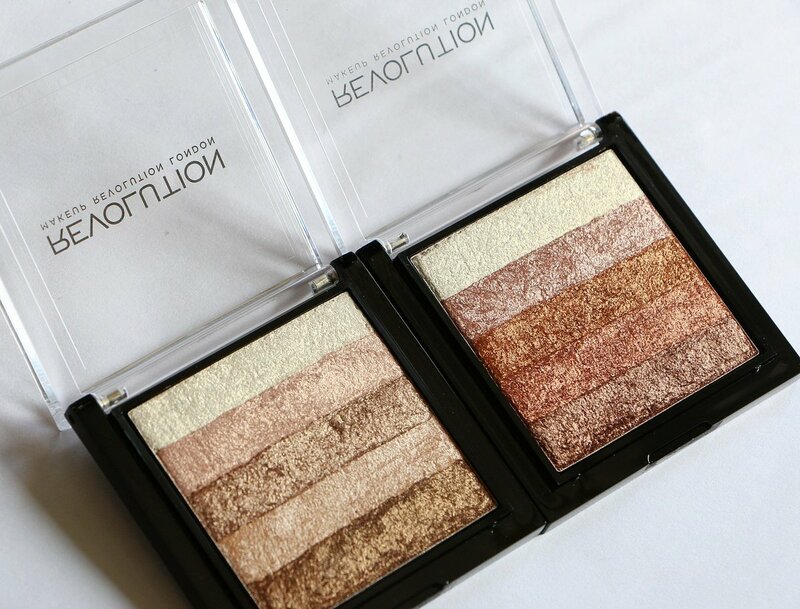 Well, you may already know about Makeup Revolution's Shimmer Brick Highlighters in initially radiant and rose gold, and now in bronze kiss and pink kiss. I wasn't able to locate this product on the Makeup Revolution, but you can click here and get it online at Ulta. These shimmer bricks cost $7 each and most often, Ulta will have a buy one get one half off sale, which is how I purchased mine.